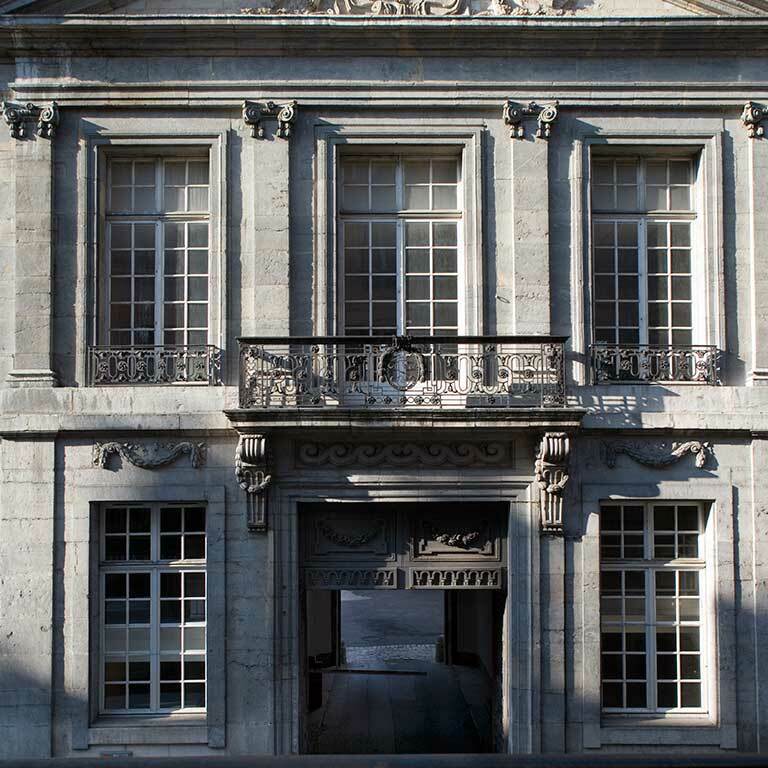 This grand mansion with a central courtyard was built between 1770 and 1772 by Claude-Joseph-Alexandre Bertrand, one of the great, late 18th century architects of Besançon. His backer was François-Felix-Bernard Terrier de Santans, first president of the “Parlement” at that time. 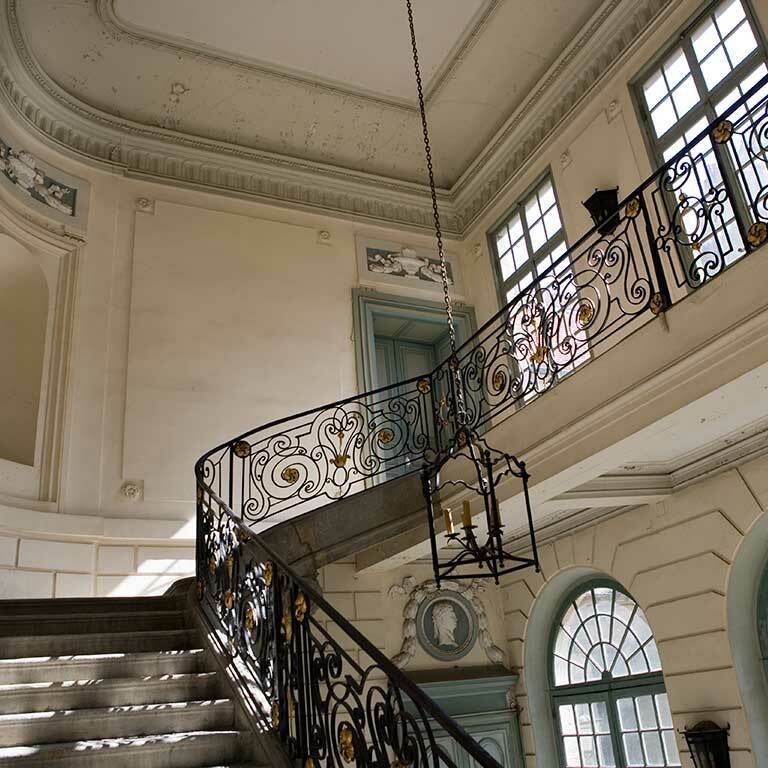 The mansion is 28 metres long: one of the largest and most impressive in the city. 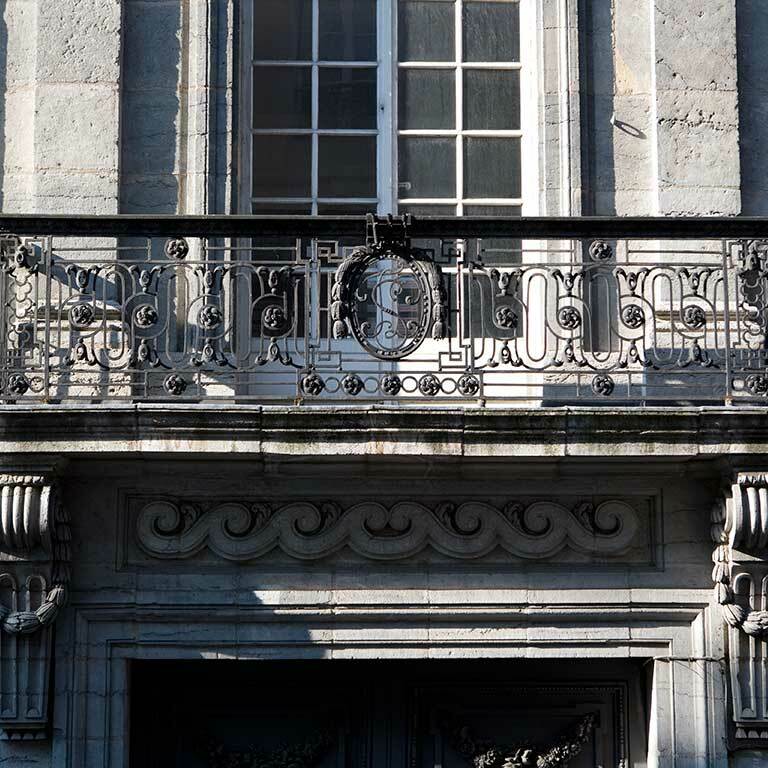 The front central building giving onto the street, with four pilasters with Ionic capitals on the first floor, has a balcony where you can see Terrier de Santans’ monogram in the wrought iron railing. 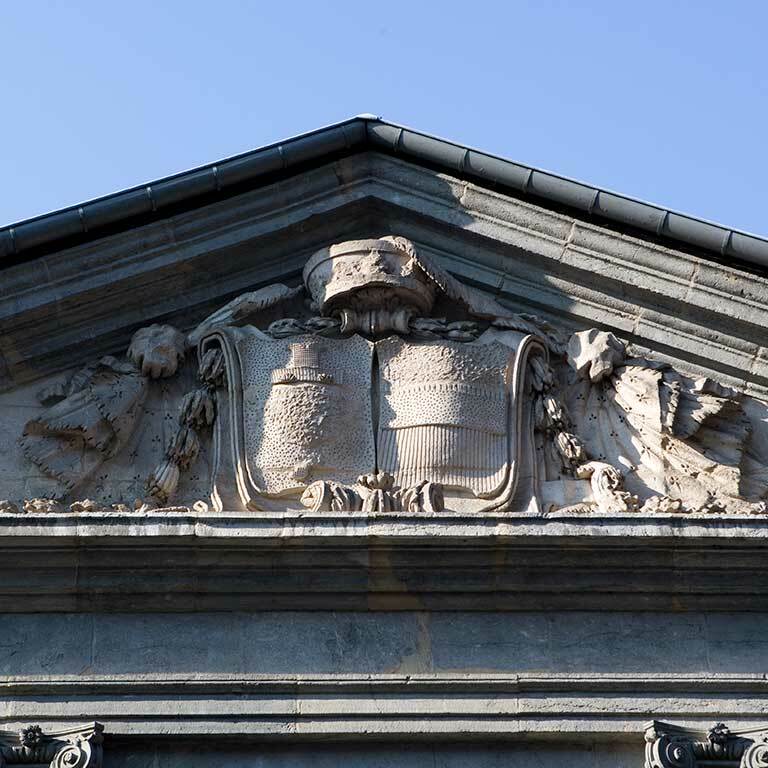 Above, on the triangular pediment, the family’s coat of arms can still be seen. You can also see a decorative motif on the facades on the street and in the courtyard, which Bertrand used frequently, made ​​of garlands of laurel leaves held up by nails. If it’s open, do go into the courtyard. 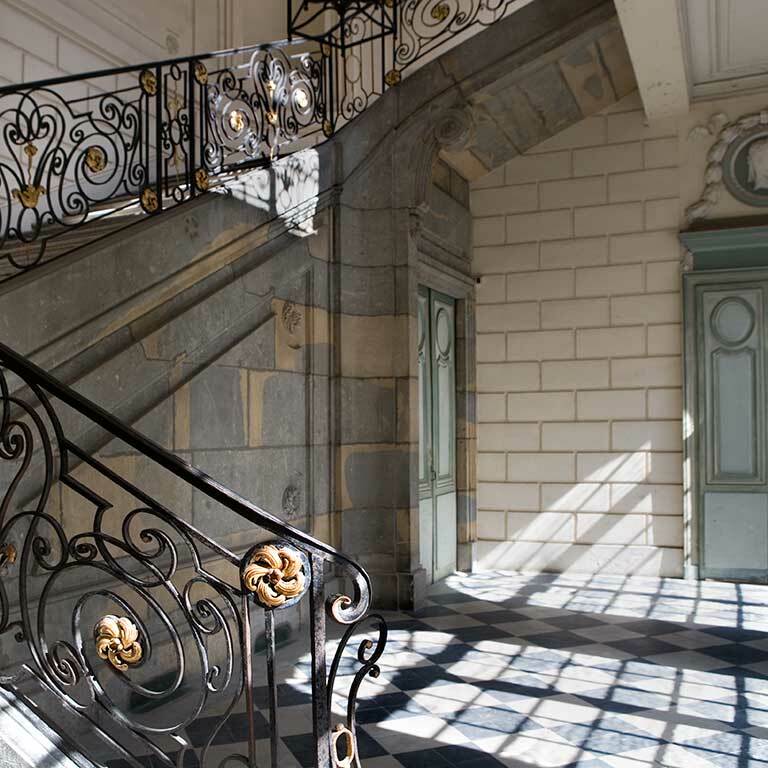 The right wing has a stone staircase of honour with a wrought iron railing. Today, this imposing mansion is home to a primary school.